The 8th Annual St. David’s Center Fall Festival is this Saturday, September 28, 2013 from 10:00 a.m. – 2:00 p.m. at St. David’s Center for Child & Family Development, 3395 Plymouth Road, Minnetonka. 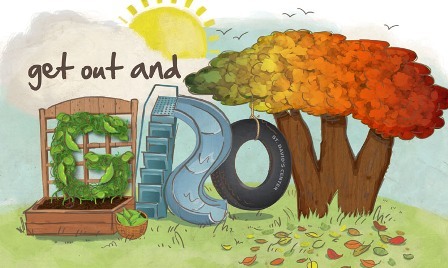 This Fall Festival: Get Out and Grow! celebrates the great outdoors and your family’s place in it! The event will feature up-close encounters with animals and nature as well as interactive art, music and energy-boosting activities that promote positive growth in all areas of child development. The free outdoor festival — held on 2.5 acres of DNR-designated wetlands and School Forest — is for participants of all ages and abilities and is open to the whole community. Activities include: move and groove with Kidsdance, search for wildlife on horse-drawn wagon rides through the School Forest with Cedar River Horse Logging, experience up-close encounters with furry creatures and creepy-crawly lizards at the Minnesota Zoo Zoomobile (10:00 a.m. – 12:00 p.m.), create clay slab fish sculptures with Kidcreate Studio™, learn to identify common freshwater fish and practice casting with Jasper Guide Services and Fish Camp, taste-test apples, observe plant parts, spin the prize wheel and meet Woodstock, the fuzzy chicken, (11:00 a.m. – 1:00 p.m.) with the Minnesota Landscape Arboretum. There’s also a Mosaic Wetland Trailway Treasure Hunt and much more! A Fall Festival Market offers options to purchase kid-friendly healthy snacks, lunches and beverages and coffee from Peoples Organic Café®.